Living a Crafting Life: Throwback Thursday: Another "Blast Off" with Bo Bunny! Throwback Thursday: Another "Blast Off" with Bo Bunny! Last month, I posted a two-part video series, which demonstrated how I designed two differently themed layouts from the Bo Bunny "Blast Off" collection kit. This was a single, random photo I found of my youngest when he got his first Hot Wheels. (This bike made all the cool motorcycle sounds to go with it too!) 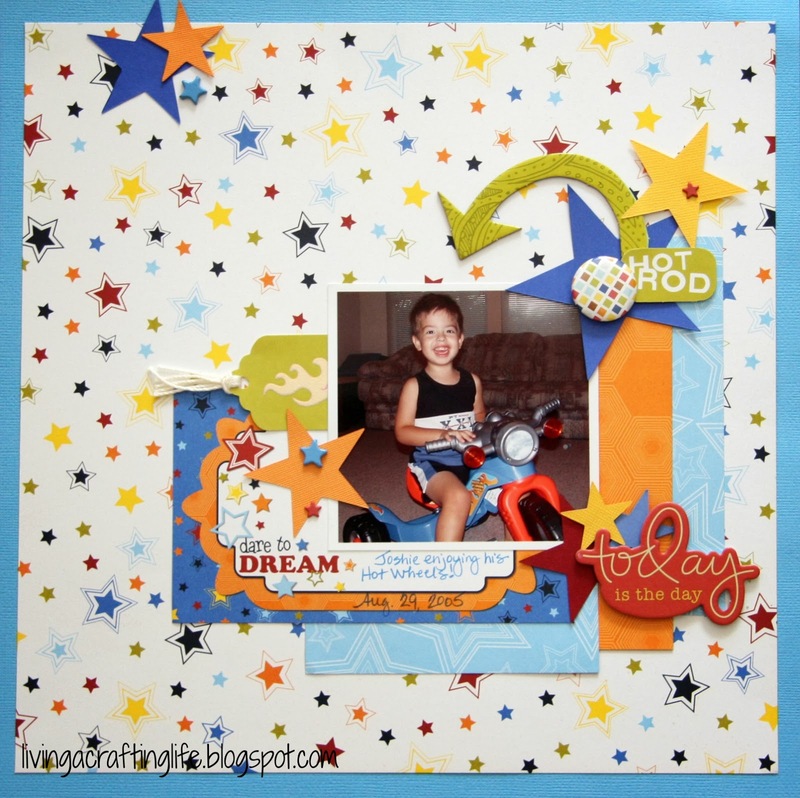 The colors, stars and the "Dare to Dream" card seemed to be a perfect fit for this photo. I printed the photo as a square with a white frame, which was reminiscent to photos from the late 60s, (except black and white) which was when I was Joshua's age and riding my first tricycle. What is your Throwback Thursday photo or layout this week? This is adorable. Love the bright colors and the flair! !